300 attendees on a Saturday - all “SharePoint-crazy” - that’s what I said last year and it’s very true for this year, too! 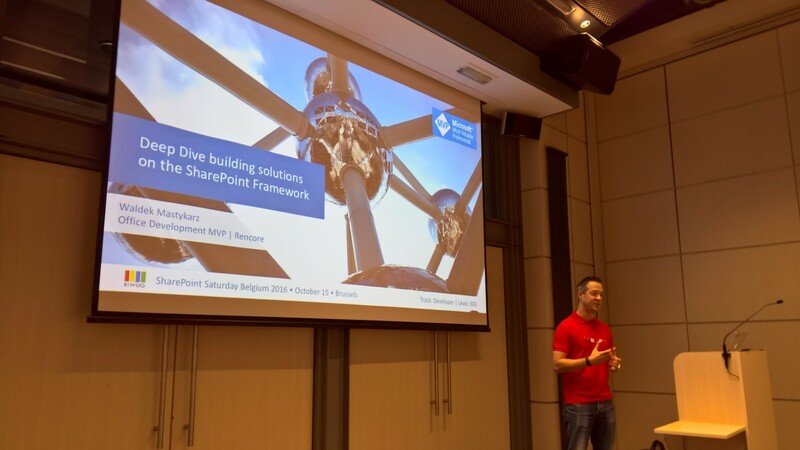 Fun from the start at 9:00am until the official end of SPSBE (SharePoint Saturday Belgium) at around 19:30! I apparently had to optimize my session on this Saturday (50 minutes slots instead of 60! ), tests my demos and pimp my slides - so I could only attend one full session (Deep Dive building solutions on the SharePoint Framework by Waldek Mastykarz @waldekm), but there was enough time for me to talk to friends, community members, BIWUG board members and other speakers - good times, good fun. Great venue, great speaker lineup - everything was great! I am leaving Belgium the second time - impressed! Thanks again to all the sponsors who made the event possible! Impressive schedule packed with insights and speakers from around the world. My Session: Hybrid Search - Everything YOU need to know! At the very beginning of my session we had some sound issues, another microphone was connected to my room - but well, we all had some fun! 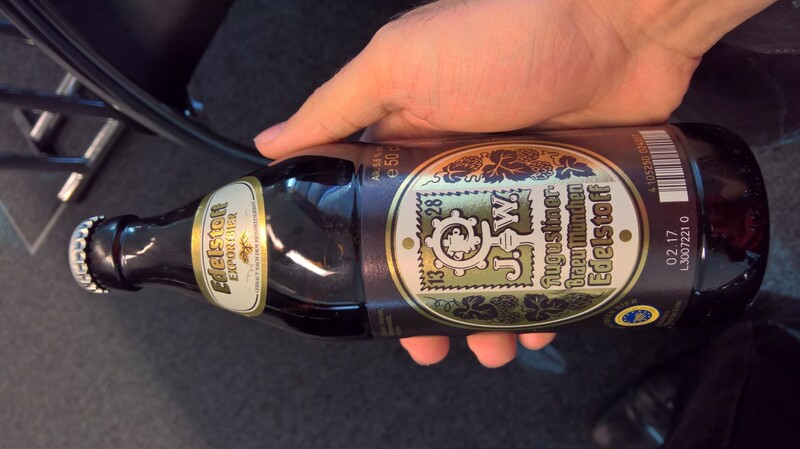 Good questions gives you good beer! And I closed my session right in time for the closing SharePint and raffle! I had a blast, once more! 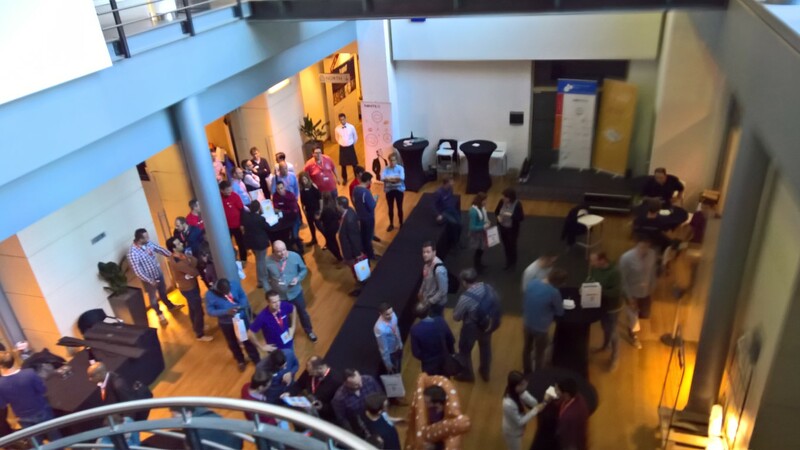 The SharePoint community in Belgium is really enlightening - thanks for a great weekend! See you latest next year Belgium! 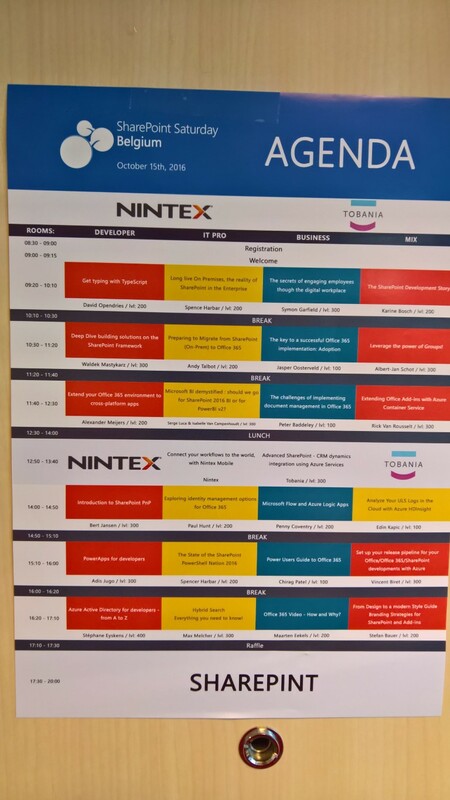 Ignite 2016 – My SharePoint takeaways!